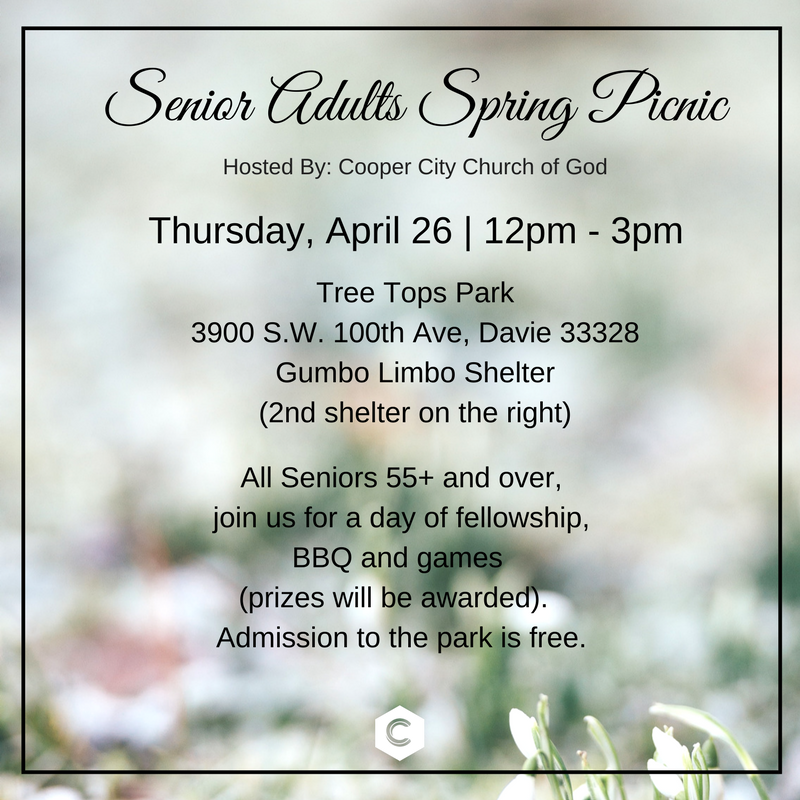 Cooper City Church of God is hosting a Spring picnic for our Senior Adults, ages 55 and over. Join us in Tree Tops park for a day of fellowship, BBQ and a chance to win prizes. Head over to Connection Central for more information and RSVP for this event starting this Sunday, April 15th. Call the church office 954-680-9191 or RSVP online by Monday, April 23 to secure your spot for this event. Shuttle Service is available from the church to the park. Departure times are 11:45am & 12:15pm. Please specify with your RSVP if you need shuttle service and at time..
Tree Tops Park - located on Palm Avenue and Griffin Road on the Northeast side.